You have finally been able to book the trip of your dreams: Italy. Since you have been waiting for so long, you’d love your trip to be perfect. You’d like to make the most of your time, but do not want to end up in a tourist bus and see sites just from a window seat. You’d love to have your own Italy travel guide, knowing exactly what you need and want to see, making you experience Italy as it really is, taking the time to enjoy the things you are really interested in and skipping those you do not like. You absolutely do not want to go home regretting having spent your money in the wrong way. You want to have an experience tailored to your needs, but either do not have the time to do research online nor do not know what and where to look for. Well, wait, I have the solution for you! completely tailored to your needs and likes. It is your own travel book, specifically created by me on the basis of what you are interested in. Are you a food lover? You’ll get a list of traditional non-tourist restaurants, where you can eat like locals do. Do you like hiking? I’ll give you some suggestions on nice walks and tours to discover Italy in a slower way. Or maybe you’d rather spend hours shopping in the most fashionable or trendy shops – so that your friends back home will envy you for months when your back. No problem. You’ll get the list of the nicest shops in the cities you’ll visit and even places you must visit because of their shops. Step 1: Send me an email at cinzia@instantlyitaly.com telling me when you are coming to Italy, how long you are staying and what you need. I’ll get back to you within 48 hours with a questionnaire for you to be filled with your likes, needs and so on. Step 2: Take your time to fill the questionnaire, think carefully about your likes and needs and do not leave anything out. Be as specific as you can, tell me if you have particular problems, things you need to avoid, things you must not miss. The more detailed you are, the better the travel guide will be. Send me the questionnaire back, once it is done. Step 3: You’ll receive the quotation for your perfectly tailored Italy Your Own Way travel guide and all details for payment. Step 4: After a couple of weeks, Italy Your Own Way will land in your inbox. A nice and fat pdf file full of all the information you need for your dream trip to Italy. There’ll be a suggested itinerary, travel details, hotel information, places to see and things to be done and whatever else you may need for your perfect Italian vacation. You can either decide to print the file out or just save it on your tablet to have it always with you. Things are not over. There are bonuses! If you buy Italy Your Own Way you’ll get email assistance for all requests and information during your trip. Moreover, buying Italy Your Own Way you’ll also get Be Italian For A Month – a 30-day email program about Italy and its culture, which will help you get ready to understand the Italian way of life and will get you primed for your trip. If you want to know more about Italy Your Own Way, I have written a blog post about it. You can find it here. 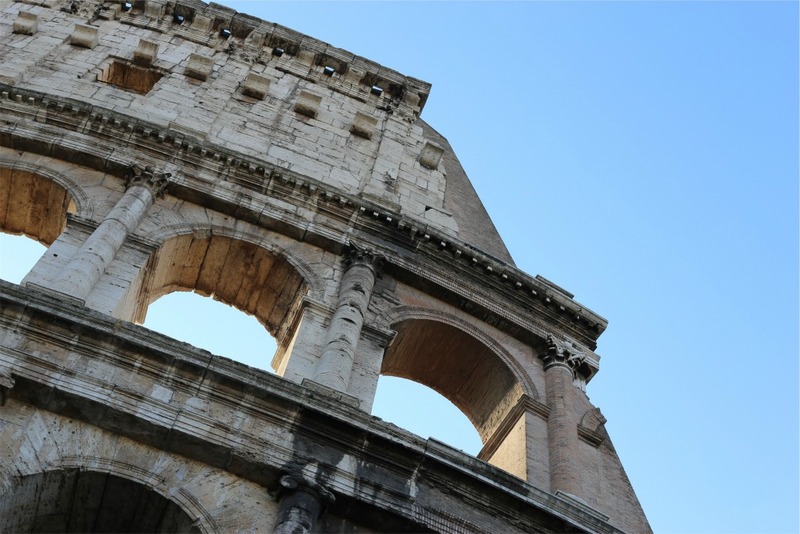 See what some of the people who purchased Italy Your Own Way have to say:I would recommend it to anyone that is traveling to Italy and needs a little extra help planning or organizing their trip. I am in love with Rome! Thanks to all your recommendations, our trip was memorable! Because I am Italian and I live in Italy! But also, because I hold a B.A. in Languages, Tourism and Communication and a Master’s degree in Teaching Italian as a Foreign Language (you can read all about my education and work experience here). Most of all, because I love sharing with the world the amazing beauty of my country and our way of life. Moreover, I have been traveling all my life and visiting new places is my favorite hobby, which means I know very well what are the problems and needs of travelers abroad. fill the questionnaire I’ll send you with all your likes and interest – be as specific as you can! It depends on what you need. If you already have your itinerary done and just need a list of restaurants and places to see, it will be just a few bucks. If I need to do more work and research, it will be more expensive. The best thing to do is just send me an email with your needs and I’ll get back to you very soon with a quotation. 2. Will you book flights and hotels for me? I am afraid not.You’ll have to book flights and hotels on your own. However, I can help you with hotel reservations if there are language problems. 3. I do not have specific needs or likes, I just want the perfect itinerary in Italy. Will you do that for me? I sure will! And it will be a pleasure. Just tell me your flight details and the length of your stay and I’ll send you a must-not-be-missed itinerary around Italy. 4. Can I call you if I get in trouble? I am sure you will not get in trouble, Italy is a safe and nice place to visit. Anyway, drop me an email anytime and I’ll answer any question you might have while you are in Italy. If you are not sure if you’ll like the course or not or are worried you’ll regret making your purchase please check my blog, my newsletter and my about page, which are a great way to get to know me and my products better. If you sign up to my newsletter, you’ll get Be Italian For A Weekend, a three-day email crash course about Italian culture. Do not hesitate and write me if you need more information. Just send me an email here: cinzia@instantlyitaly.com. I’d love to hear from you!